The most effective way to use search to increase your leads, sales, customers and traffic is to use a combination of organic SEO and PPC advertising. 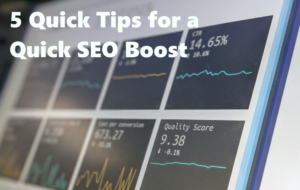 Use SEO with your great content to improve your organic search results and use PPC to ensure your adverts turn up next to the relevant search queries. Most people are aware of this powerful SEO strategy but knowing about it and doing it right are two different things. Sadly, many people make the same mistakes, resulting in wasted time and money and disappointing results. Here are five of the commonly made errors and how to avoid them. Using guess work. There are lots of tutorials and guides on how to create PPC so there really is no excuse to simply dive in to Google AdWords and hope for the best results from your guess work. If you want your ad to succeed spend time getting educated on the features that are available and create a strategy. Lack of keyword research. You can guess your keywords if you want but we don’t recommend it. Spend time thinking about the search queries and keywords that your audience uses to find you and use the Google AdWords Keyword Planner for insights and ideas. Forgetting to optimise landing pages for the advertisements. The landing page needs to be responsive, if it doesn’t work on mobiles it’s not going to work as mobile search is now used more frequently than desktop searches. Optimise your landing page with researched keywords and include those keywords in the copy for your ad. Failing to know who the audience is. Google AdWords and social media advertising offer marketers the opportunity to target ads, but how can you target correctly if you don’t really know or understand your audience? Overcome this problem by creating marketing personas and develop an action plan and call to action designed for your audience. Sticking to your guns. Once ads have been created they need to be monitored and quite often tweaked to get the desired results. Leaving an underperforming campaign is pointless. Measure the amount of traffic and click through rate along with the number of conversions and return on investment. Be prepared to make changes based on what you learn from the metrics. Need some PPC support? Google AdWords is just one of the ways we help our clients with their digital marketing. Contact us today and we’ll have a chat about your digital marketing goals and how we can help you to achieve them.